I'm thrilled to have become a member of FIABCI, Canadian chapter. 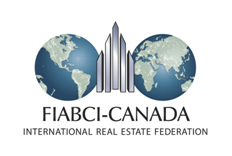 FIABCI is an international network for all professionals associated with the real estate industry. Founded in Paris in 1951, members work to share and inspire best practices worldwide. The core values closely align with Chestnut Park Real Estate Ltd and Christie's International Real Estate: Integrity, Commitment to Excellence, Culture of Innovation and Development, Sustainable Membership Value and Community Action.